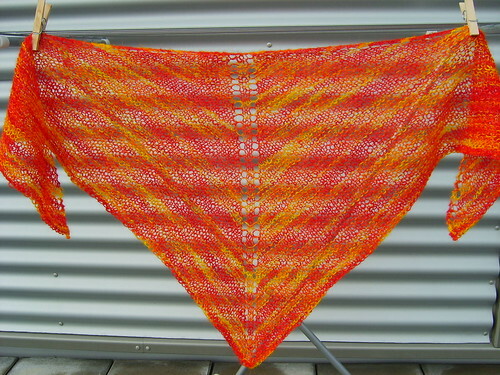 Just finished a shawl with my own hand dyed wool, Eigingirni (unfortunately only available in Iceland for now). 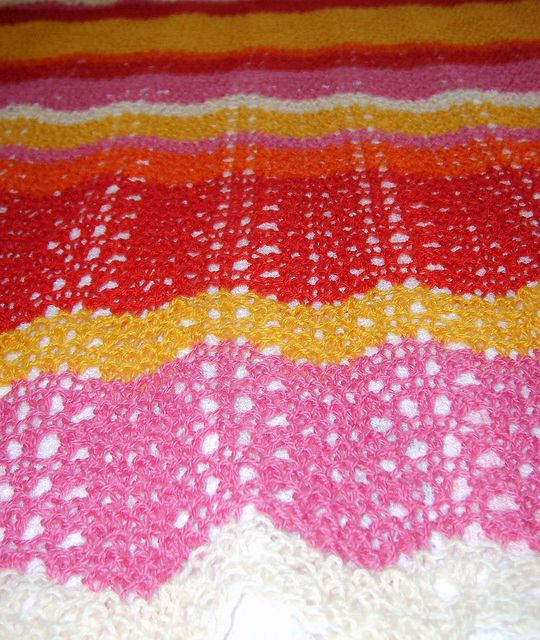 Pattern: Þríhyrna from the book Prjóniprjón. 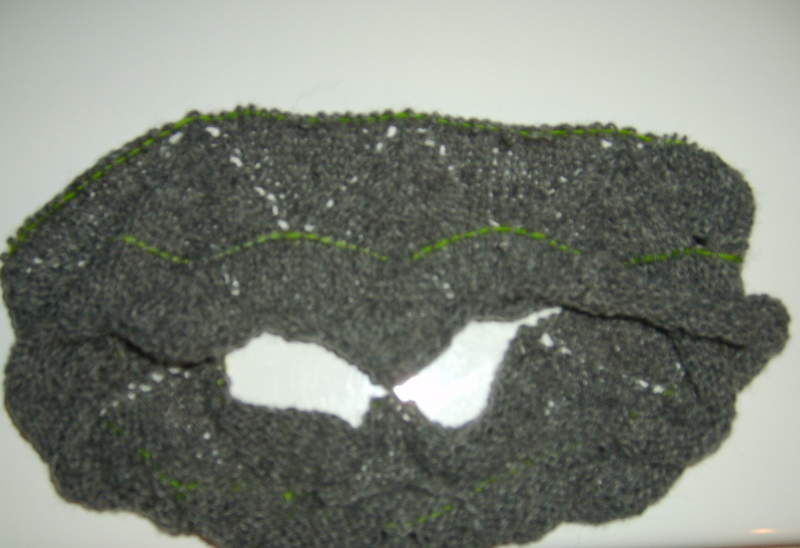 Yarn: Eigingirni from Knitty Attitude, 50 gr. 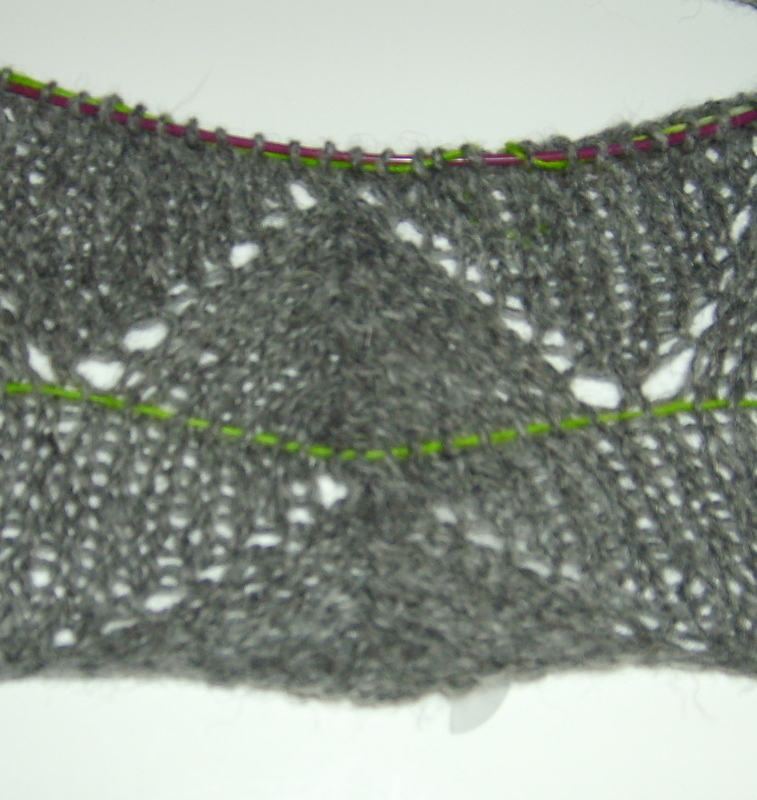 Eigingirni shawl on Ravelry and Flickr! Posted in knitting and tagged Eigingirni, FO's, hand dyed, knitting. Bookmark the permalink. Knitting accessories are, in my opinion, just as necessary as good knitting needles and beautiful yarn. 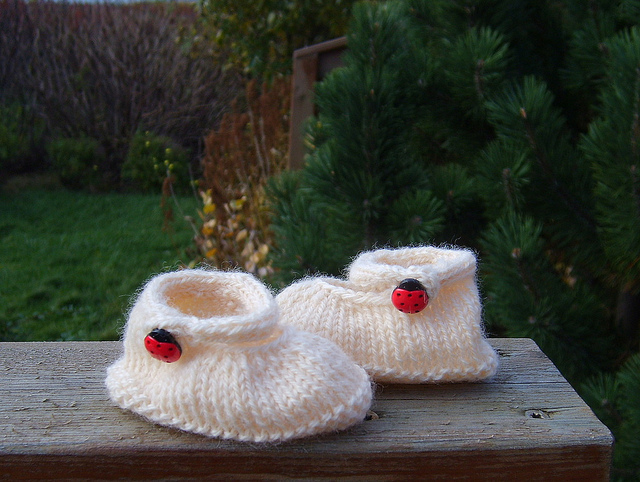 Knitting becomes more personal and fun if you have nice things in your knitting bag. You’ve all got knitting bags, right? With an unfinished easy project (that you can knit while participating in a meaningful conversation), scissors, tape measure, stitch markers, and lip gloss. I think everybody should have at least one of those bags. They are really great and every time I’ve lost a project, I find it in one of my knitting bags! Stitch markers are one of the accessories I use very much. When I was younger I just used a short piece of string in a different color but as I got older I grew love for beautiful stitch markers. Markers that you put in the project. These markers are usually plastic and are used to mark the beginning of a row, where increasing/decreasing begins, where to measure from and so on. You put the marker in the project and leave it there until you don’t need it there anymore. Here you can see this type of stitch markers. Markers that you keep on the knitting needle. These markers are often beaded or with some cute decoration and are kept on the knitting needle. This type of stitch markers is good to use in lace projects to mark the beginning of a row, the place where you increase/decrease in every row etc. The marker is moved along the needle just like the stitches. 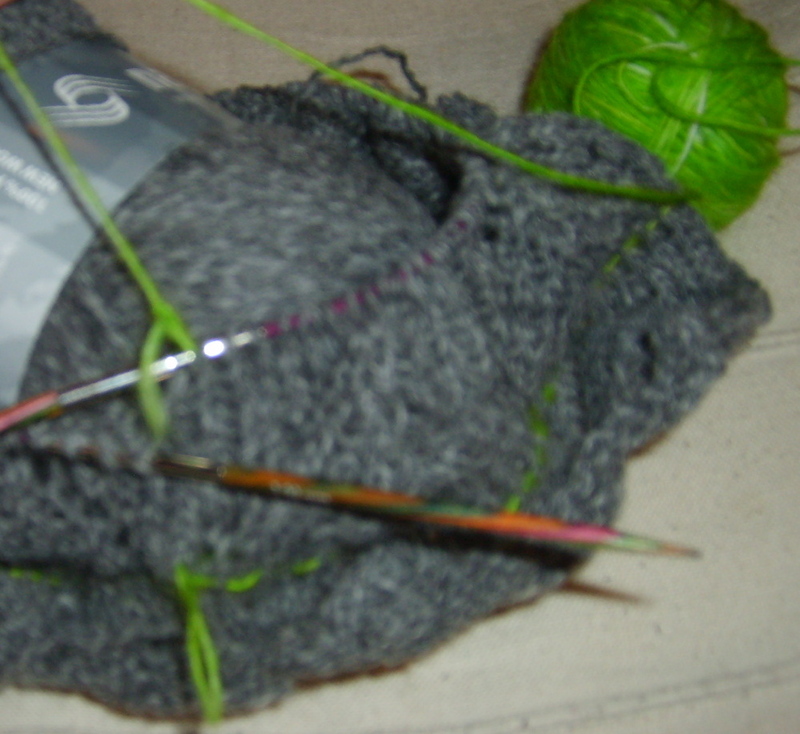 Here is an example of stitch markers on the knitting needle. Posted in tips and tricks and tagged knitting. Bookmark the permalink. 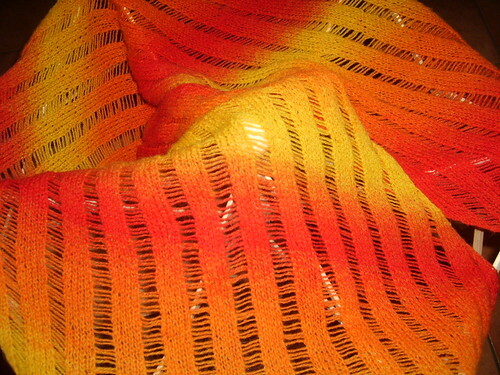 My Sunrise Clapotis on Ravelry. Posted in knitting and tagged FO's, knitting. Bookmark the permalink.